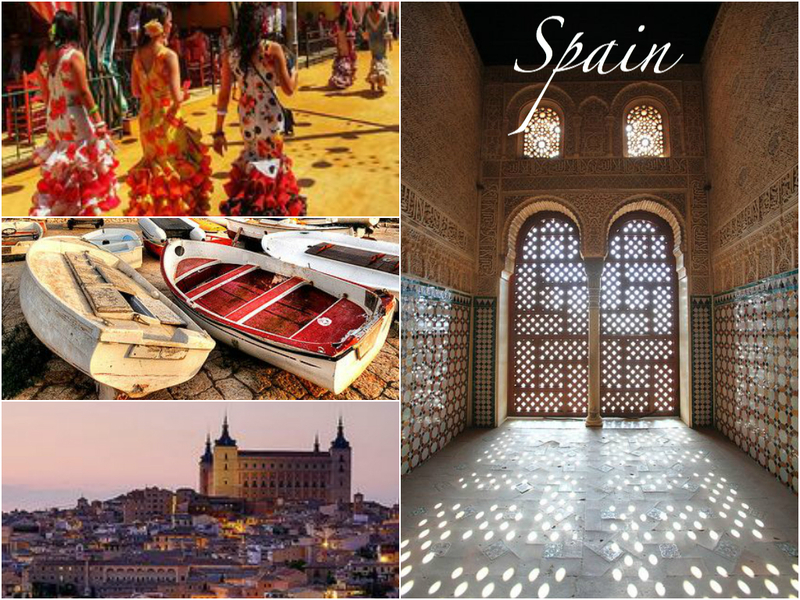 ever since I was young, maybe around 8 or 9, I’ve always wanted to go to Spain. I started learning Spanish at that age, and I fell in love with the language, with its rhythm and intricacies, its nuance and lyrical quality. I kept studying Spanish all the way through college, for a total of 14 years. I would read poems by Federico García Lorca and longed to see if the light really did appear just so in Andalucía. I would listen to flamenco music and imagine that I was in Seville watching it live. I dreamed about getting to enter la Sagrada Familia and taking in all the work and years that had taken place there. I could and did stare at photos of la Alhambra for hours. it is breathtaking. the first time I saw detailed shots of its interior, I actually had tears in my eyes. it was that beautiful. Spain was the third country I fell in love with, after the Philippines and the United States, but it was the first one that I loved without ever seeing it. my travel list is the length of my arm, but Spain was the first to give me the travel bug. I still daydream often about having churros and hot chocolate for breakfast and spending the day away walking down winding streets that are thousands of years old. someday, I’m going to do it, and it will be glorious. places I’d like to see before I die is a series on short&lovely that indulges my love of travel and different cultures. everyone should have a list of places they’d like to see before they die. this is mine.